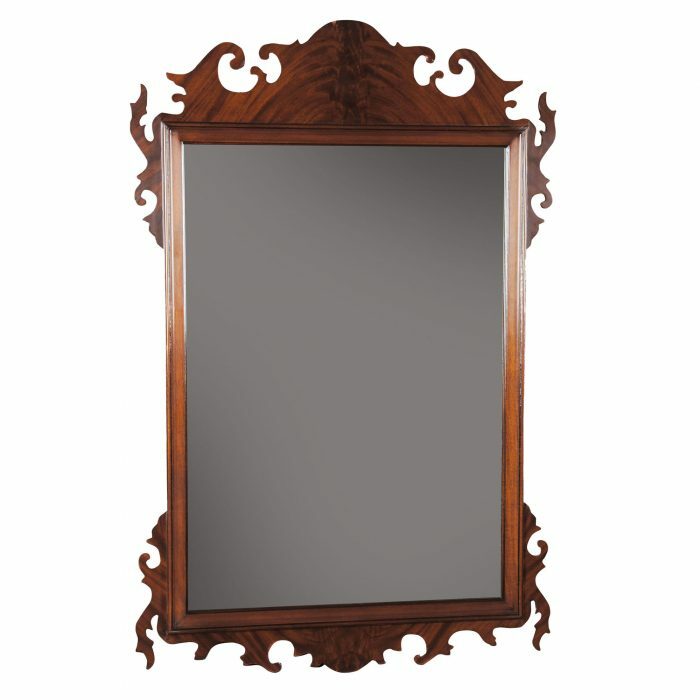 This is the largest Chinese Chippendale Wooden Mirror on the market. 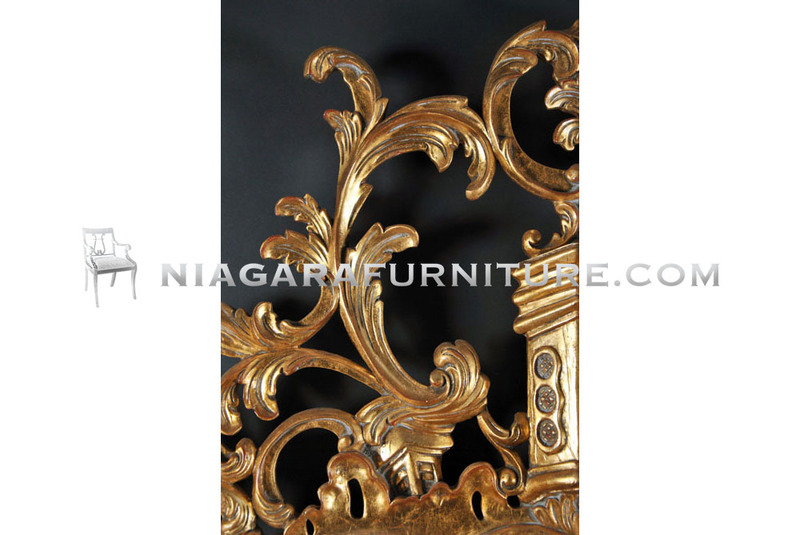 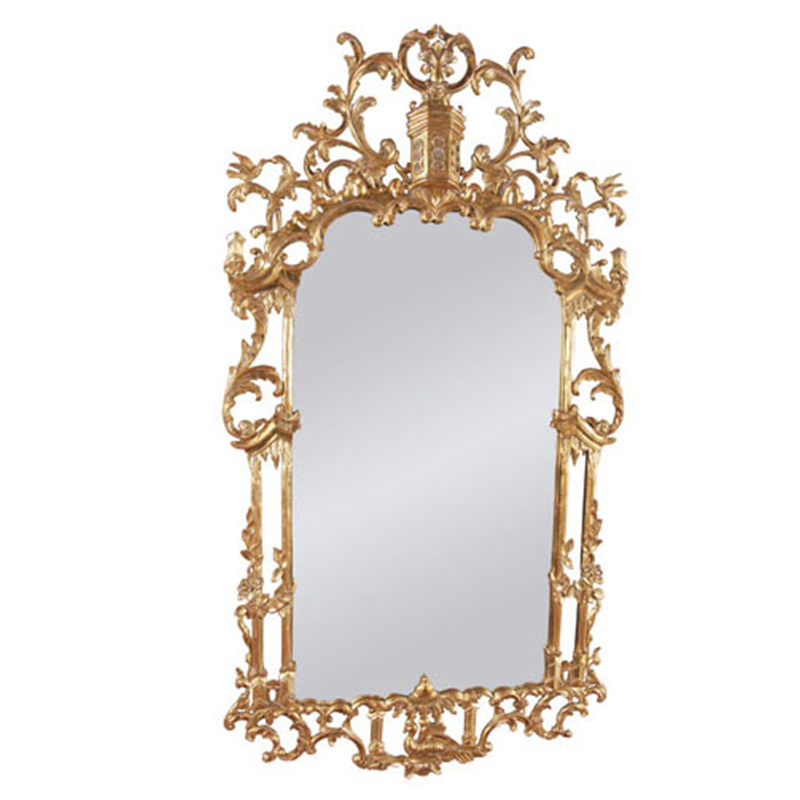 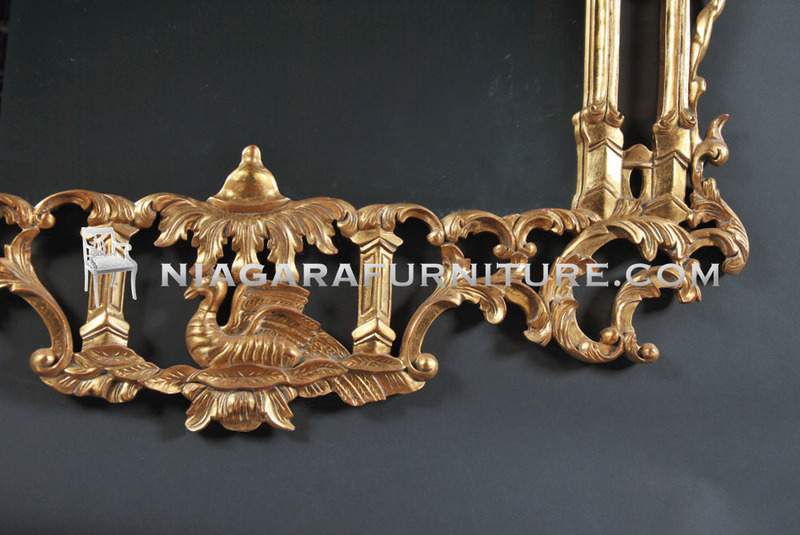 A high quality, hand carved, solid wood, gold leafed frame inset with an oversize mirror. 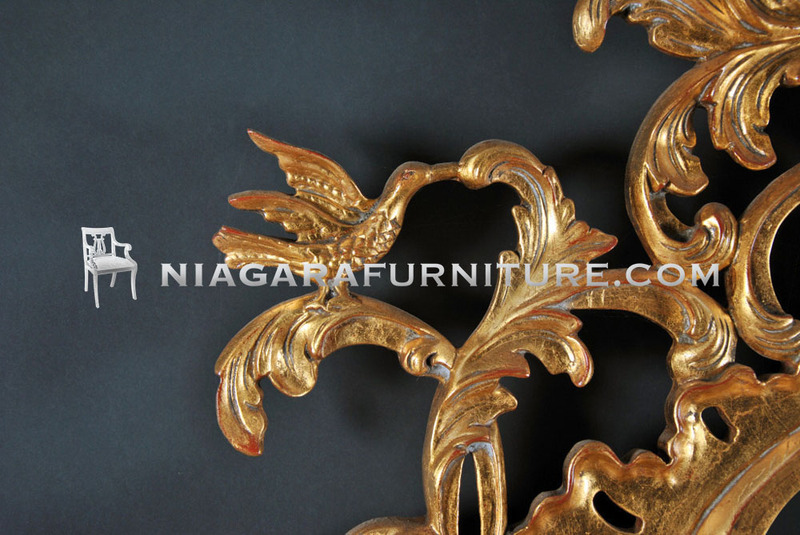 Created after some of the great eighteenth century masterpieces by Thomas Chippendale this style is considered to be in the Chinese fashion. 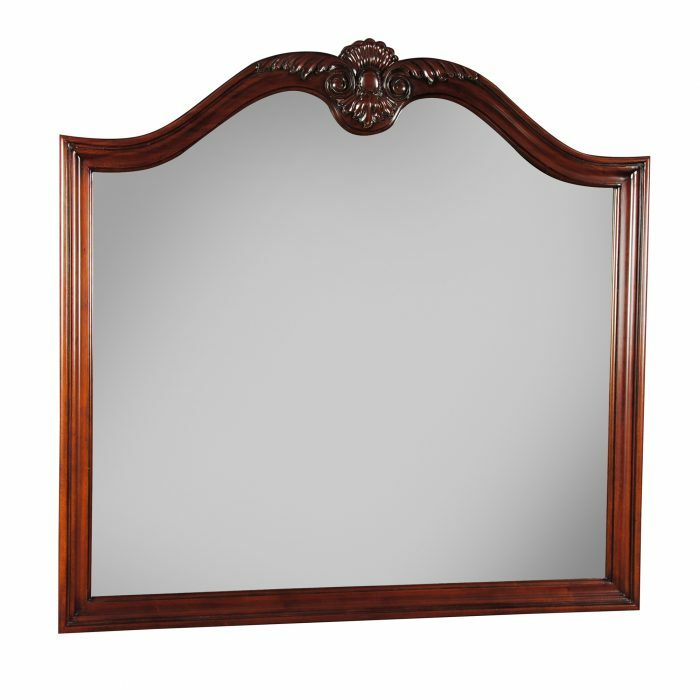 Whether in your front entry way or in your living room the Chinese Chippendale Wooden Mirror will add a lot of depth and elegance to your surroundings. 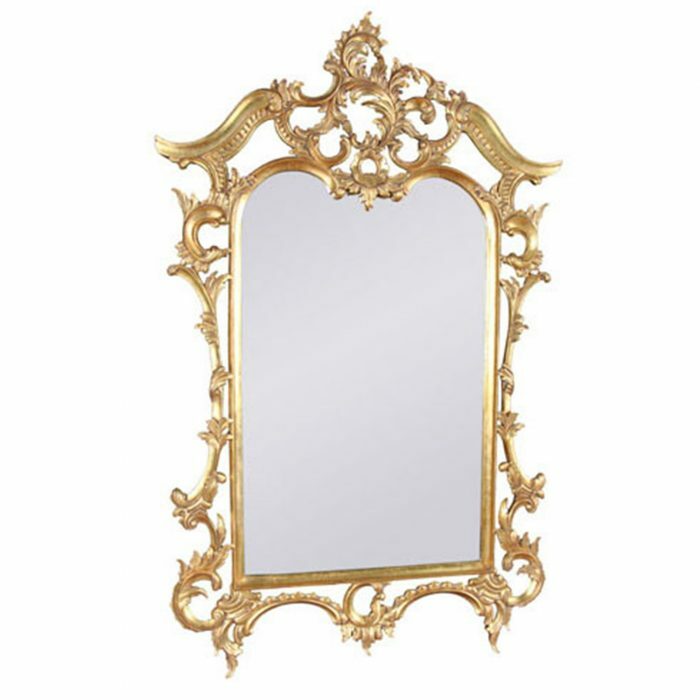 Our mirror is great for high ceilinged homes but please double check your measurements for available space before ordering and be certain to fasten anchors securely before hanging this behemoth! 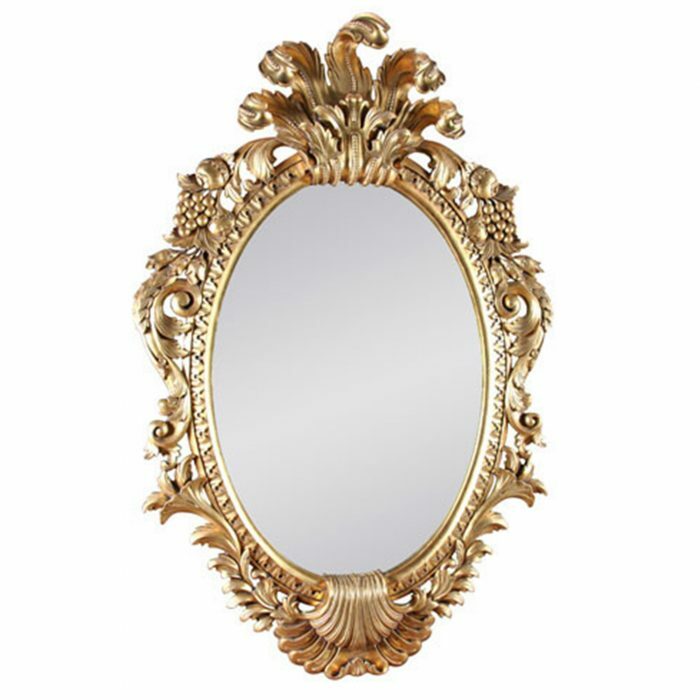 This item is oversize and requires white glove service for delivery for an additional charge. 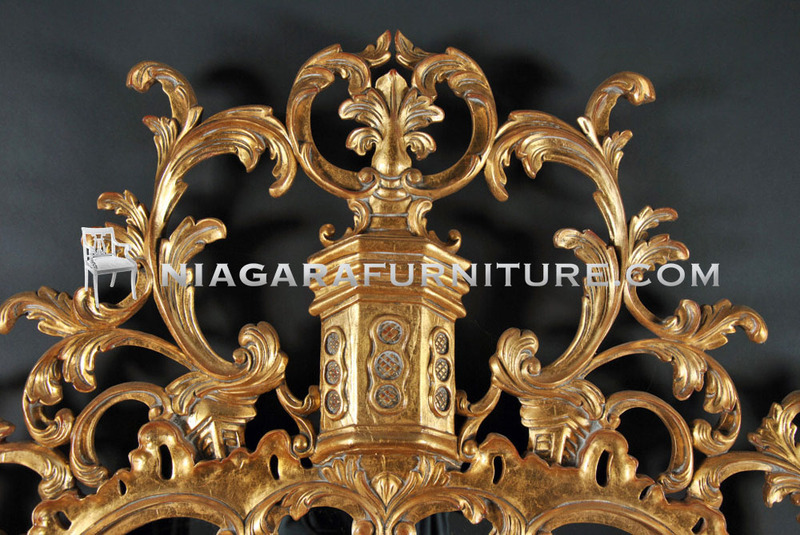 Please call (717) 769-7906 for more information.